The body recovery for a 16 year old San Fernando Valley boy, Roger Dale Madison, murdered by serial killer, Roger Dale Madison, 40 years ago most likely lies beneath the 23 freeway in Moorpark, CA, and cannot be recovered. Child serial killer Roger Dale Madison was on death row at San Quinten, but killed himself before his scheduled execution date. He also confessed to the killing of Roger Dale Madison and several other children. Madison often buried his victims in southern California freeways during his job as a freeway builder in the '50s and '60s. 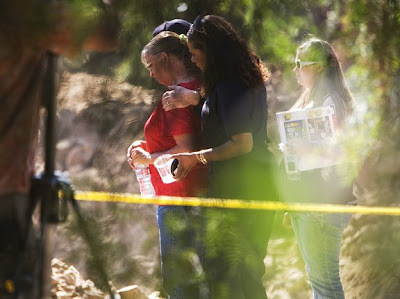 The five day long dig that created a 20 foot deep and 40 foot wide hole next to the 23 freeway ended with a memorial service that was attended by the victim's sister, Sherry Barlow who flew in from Oklahoma. She also laid a dozen red roses next to the dig site and was given a jar of soil from the dig by LAPD Chaplains. 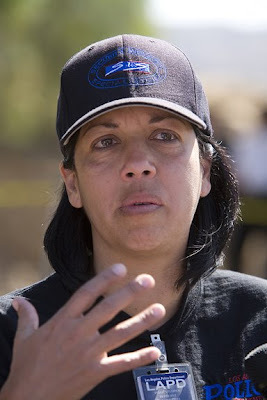 LAPD Lead Detective Vivian Flores lead the investigation and teared up at the end of the dig. 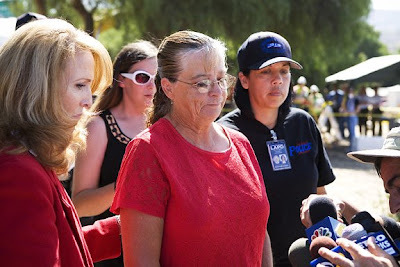 Vivian Flores, LAPD, and Sherry Barlow both believe that Roger Dale Madison in buried beneath the 23 freeway.